4th Pula Carnival , February 3, 2018. 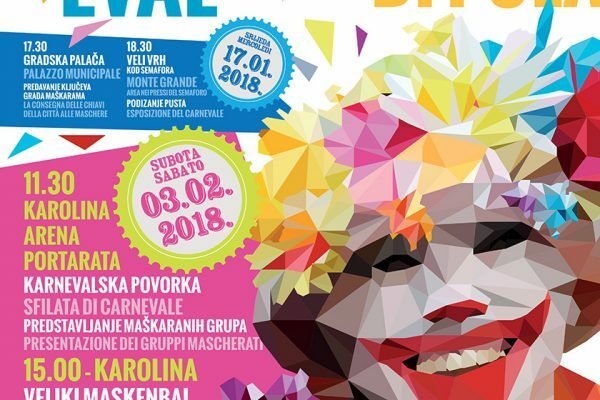 Karolina, 3 pm - Big costume ball for all visitors of the Carnival with Mauro Staraj & La Banda (in case of rain in Circolo) . 13.02.2018. Veli Vrh, 7 pm, the burning of the "Pust" - an effigy made of straw, a the traditional culprit for all the last year's troubles.